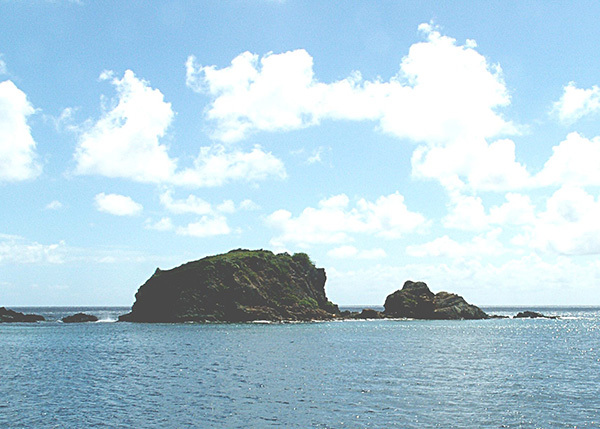 Southwest of Norman Island you will find Angelfish Reef, a captivating diving site known for its canyons and ridges. The Angelfish Reef has some of the most incredible underwater landscapes in the whole British Virgin Islands. Its shallow waters are colored by a rainbow of gorgonians, attached to the white sand, that are home to many marine species. Along with a captivating web of canyons, Angelfish Reef has a wide array of fauna, jack-knifes, spotted drums, triplefin blennies, angel fish, sea horses, shrimps, yellowhead jawfish, crustaceans, anemones, snake eels and Moray eels, turtles, eagle rays, southern stingrays, lobsters and nurse sharks populate the blue waters. This diving site is ideal for novice divers or for those who want to explore the wilderness and beauties roaming in the Angelfish Reef waters; explore the fascinating maze of canyons and get a glimpse at the tiny creatures hiding in the small crevices.